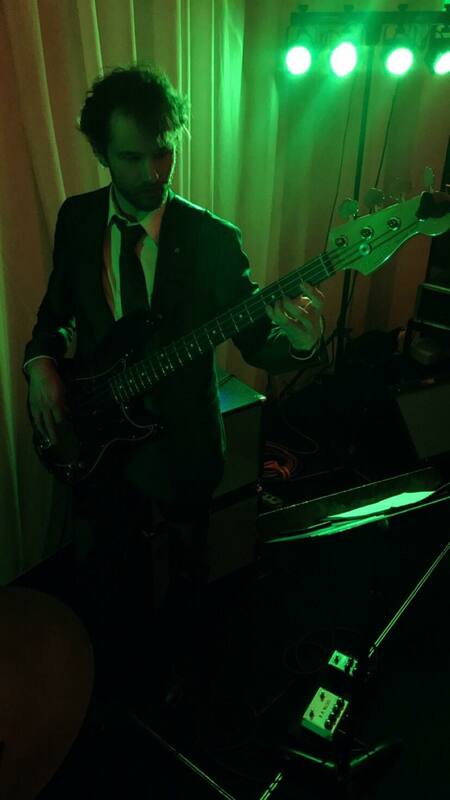 Derek Wiegmann is an in demand bassist and teacher who lives in Baltimore, MD. He began playing the electric bass at the age of twelve. He was introduced to the double bass at the age of 17 and fell in love with the instrument. During his freelance career, Derek has performed a wide variety of genres including classical, jazz, rock, blues, R&B, Motown, bluegrass, country, and pop. Derek has been teaching privately since 2012. In 2012, Derek entered the Jazz/Commercial Music program at Towson University where he studied with Jeff Reed. While at Towson, he also studied improvisation with the renowned trumpeter Dave Ballou and played in the big band directed by Jim McFalls. Through the jazz residency program, he studied and performed with artists such as Drew Gress, Ralph Alessi, Ellery Eskelin, Tony Malaby, and Mary Halvorson. He played in master classes held by David Liebman, Donny McCaslin, Mark Dresser, and Jeff Lederer. During his junior year, he was selected to perform with the Mid Atlantic Collegiate Jazz Orchestra under the direction of trumpeter Sean Jones at Dizzy’s Club Coca Cola at Jazz at Lincoln Center in New York City. He has always been interested in versatility and exploring different styles. During his senior year, he studied South Indian Karnatic music with Jon Seligman and performed in the Latin ensemble. He has performed Balkan music with Orchestra Prezavica in Baltimore and D.C. and Persian classical music with Nader Najd’s orchestra in Alexandria, VA. While at Towson University, Derek was also an active performer and student in the classical department. He studied classical bass with Victor Dvoskin. In his fourth semester, he began attending Cecylia Barczyk’s cello studio’s weekly master classes. He continued to attend and participate in her weekly master classes until graduation. While at Towson, he played in chamber ensembles coached by Mrs. Barczyk and played principal bass in Towson’s orchestra his junior year. Also during his junior year, he performed alongside Towson faculty and Baltimore Symphony Orchestra members in the pit orchestra for Randall Thompson’s Solomon and Balkis as part of the American Opera Symposium hosted at Towson that year. He also in played in and observed master classes in the violin studio. Cecylia Barczyk became an important mentor to him. He assisted Professor Barczyk in writing her instructional method, “Teaching the Double Bass in the Classroom.” Together they filmed a series of videos to compliment the text. The materials are used in the lower strings method class for music education students at the university. As a teacher, Derek uses student-centered teaching strategies as a means to actively engage the student in his or her learning process. The role of the teacher should be to help a student learn how to teach him or herself. He firmly believes that students should understand the “why” and not just the “how” and “what.” Inspired by his exposure to the Alexander Technique, Derek teaches technique based on natural body movements and the release of excess tension. When teaching technique, he does not just teach what it should look like, but how it should feel. He has explored a variety of different playing postures with the double bass (sitting, standing with straight and angled endpins) and electric bass (various ways of sitting and standing) in order to help students of all body-types and sizes find a way of playing that is comfortable for them. Regarding lesson structure, he does not believe in a “one-size-fits-all” mentality and caters lessons to the goals of the individual. He firmly believes that talent is not an innate ability that one is born with; it is a skill that is trained and developed. In addition to teaching at the Music Space, Derek has been an adjunct professor at Howard Community College since Spring 2017, and has taught lower strings as part of the after school music program at the Park School of Baltimore since 2016. Derek has coached double bass sectionals at the Baltimore County Summer Music Camp (2016) and the Howard County’s Elementary School Honors Orchestra (2018). He was an All State Orchestra string judge for cello in 2016.